One of the best things about the Internet is all the free access to streaming and torrent sites. There are a number of sites out there that will allow you to watch Netflix and Amazon shows for free. There are even sites that will grant you access to live sports and pay-per-view events. Heck, you can even download full versions of computer games for free. Sure, all of this is good, but it really exposes you as well. 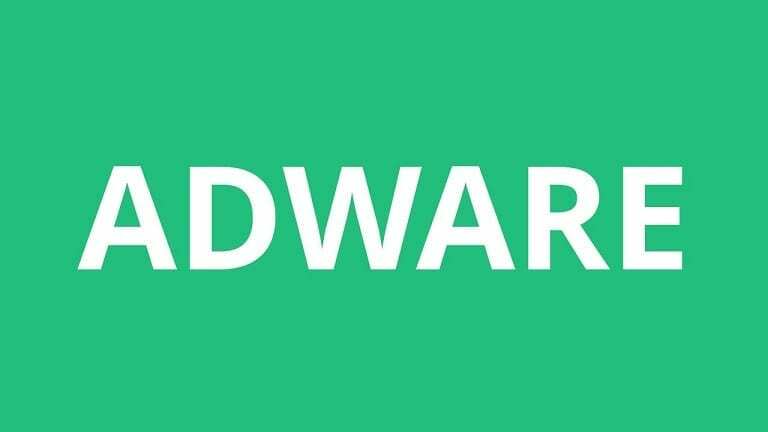 In fact, if you have been doing a lot of streaming and torrent downloading there is a good chance that you have probably been infected with Noad Variance TV Adware. This is a type of intrusive adware that more and more torrent and streaming sites are using. This guide will tell you everything you need to know about Noad Variance TV Adware and how you can safely remove it from your computer. Noad Variance TV is a type of adware that is extremely intrusive once it gets in your system. While it might just seem like the adware is causing you to be infected with pop-up ads it is actually working behind the curtains to steal your information. This type of adware was specifically designed to deliver numerous advertisements to help the creator of the adware to generate a profit. It can target any browser, but it usually infects users that use browsers like Edge, Chrome, Firefox, and Internet Explorer because these browsers can guarantee widespread infection. What Does Variance TV Adware Do When It Enters Your System? You learned above that this adware is extremely intrusive. At first, it might just seem like the adware is promoted as a tool that improves your Internet browsing experience, but it is actually going a lot behind the scenes. When this adware is on your system it will begin to spread within the system not only making it harder to remove, but also allowing it to steal information that would not otherwise be attainable. The adware will get ahold of your browser history, your IP address, the ads that you have clicked on in the past, and it could even potentially get ahold of personal and billing information. In addition to this, it can infect your browser and alter the settings without your permission. 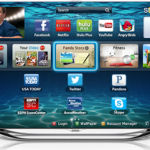 It can redirect your browsing so that you are sent to Variance TV websites and ads. It will be a huge burden on your browsing experience because all the pop-up ads are going to reduce the overall performance of your browser. How Do You Know When You Are Infected? The only good thing about Variance TV Adware is that it will be detectable right away. You will probably immediately know when you are infected. If you open your browser and your homepage has been changed to a Variance TV webpage then that is probably a good indication that your system has been infected. Also, keep in mind that you will not be able to change the homepage until you completely remove the adware. And, if you are able to change the homepage the adware will simply just change it again. If your homepage isn’t changed it still doesn’t mean that your system isn’t compromised. If you experience any of the aforementioned occurrences there is a good chance that you have been infected for Variance TV Adware. Torrent and streaming sites utilize this type of software as a marketing strategy. Maybe you have heard about affiliate programs and pay per click ads. Well, certain companies will hire affiliates to advertise their products and websites. These are just like normal adds that you see on a website. Some company is probably paying that website to host their advertisements. However, the thing is that the website will not make any money until an individual clicks on that ad. So every time you click on one of these ads that website is gaining a profit for your click. Variance TV Adware might be a pain, but do not worry because it is fairly easy to remove. 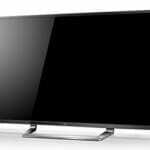 To start, you will have to tackle the root cause of the problem, which is the Variance TV program itself. If you are a Windows user you will want to click on the start button, navigate to the control panel, and click or uninstall/install programs. Once you are here you will want to locate the program called Variance TV and uninstall it. Mac users will virtually do the same thing, but just in a different process. Mac users will click on the Go button located in the top left-hand corner and select the applications folder. Once in this section, you are going to look for how to Remove Noad Variance TV programs and anything related and move it to the trash. Just because you have removed the program it does not mean that you are completely home free just yet. You will need to reset the settings in your browser and remove any add-ons or plugins that are related to Variance TV. After doing this you should be able to restart your PC and the virus should be completely gone. After restarting if you are still seeing ads you might have to uninstall and reinstall your browser. There are plenty of good antivirus programs out there that can remove Variance TV, but you will still have to reset the settings in your browser and remove add-ons or extensions. If you want to avoid getting infected in the first place it is always recommended to use the customize installation method when you are installing programs. 99% of the time you will see Noad Variance TV listed right there in the software and you will be able to choose not to install it.